We have been working hard to prepare and test the Activated Checklist feature for Way We Do, and we are happy to announce that it’s ready! 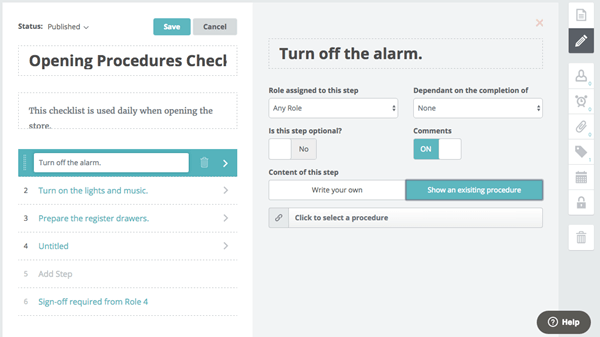 Checklists are now available as a template option within your Way We Do account. 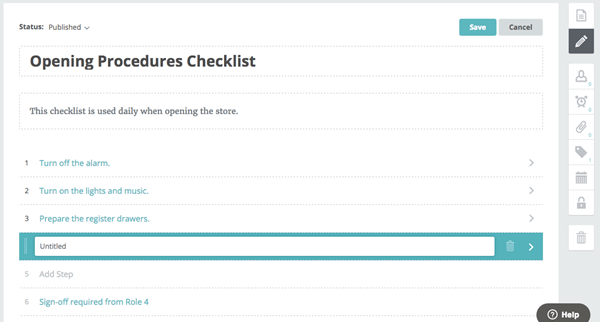 Activated Checklists are easy to create, and even easier to use. They provide a control plan for every job function by putting work instructions into a simple step-by-step format. There are so many great features included in Activated Checklists, but that doesn’t mean they are complicated! In fact, you can create your first checklist in only three easy steps. 1. Click “Add Step” to create steps for the checklist. You can also choose to add a Supervisor Sign-off as a final step! 2. Click the arrow to add instructions for each step. Instructions can be created specifically for the checklist step, or you can link to an existing procedure within your manual. 3. Click the Play button to activate the checklist. Multiple versions of the same checklist can be active at once, so there is no need to duplicate. We want you to have an excellent experience with Activated Checklists, and are happy to provide live training and instruction to help you get the most out of this great new tool. We will be calling paid subscribers soon to schedule your one-on-one training, and answer any questions you may have. There is no need to wait, though, you can book in a training session immediately on the Way We Do Website. We hope you love Activated Checklists as much as we do. Take some time to try it out and let us know what you think. As always, if you want to share feedback, make requests, or ask a question, feel free to contact the Way We Do support team.